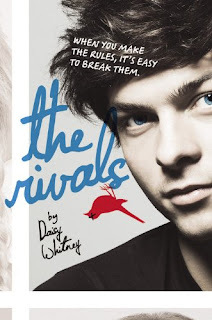 The Crazy Bookworm: Do YOU judge a book by it's cover? I thought "Ohh this looks interesting, what's it about?". 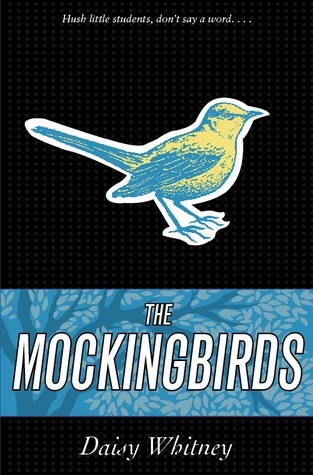 That is when I learned that it was the sequel to The Mockingbirds, which lead me to finally look into that book. I am ashamed that I completely wrote off that book because of it's cover. After reading the synopsis I couldn't wait to read it. So of course, I ordered myself a copy of The Mockingbirds. Eagerly awaiting it's arrival! So that, my fellow readers and bloggers, is my shameful confession that I judge book's by their covers. But I am going to vow to stop, and give a book a chance, no matter the image on the cover. I guess I do sometimes judge a book by it's cover. If I like the cover of a book I'll pick it up and find out what it's about. If the synopsis grabs me I'll read the book. But like you if the cover doesn't grab me I usually won't pick it up to find out what the book is about. I have bought books once or twice based on the cover alone and since it didn't work out too well, don't any more. The prettier the cover, the more I scrutinize buying it. I think anyone who says they don't judge by the cover isn't being honest. If I'm browsing, the cover is what attracts me to the book. What other information is there? But, that doesn't mean I won't read a book that I've HEARD OTHER THINGS about, regardless of the cover. But if you know nothing about a book, you can't help but judge it, at least at first, by the cover. I know that I have judged books by their covers before. It's difficult not to because it usually is the first impression we have with a book (unless it's a new book that a blogger's praising). The problem is that sometimes those that I have thought would be good (because of the cover) were not, and those that I was skeptical about (because of the cover) I did enjoy. It's tough not to when it's the first thing readers see but I usually read summaries before making a decision about a book. Actually, what bothers me more is picking books to read BECAUSE of the cover. I pick up books with lovely covers that sometimes hide what's really inside. I'm trying to stop getting books just because I love the covers... and so far it isn't working out too well. I love beautiful covers! I do judge a book by it's cover because it is the first thing that I see. If it's a cover that doesn't attract my eye, then I don't even bother to read what it's about. But since I started blogging things have changed slightly. Yes I am still attracted to books with pretty covers but I have other sources of information about what the book is actually like. When browsing other blogs I can get a better feel for what a book is about. What I don't understand is why books are published with different covers dor different countries. Ach... I judge a book by its cover too. A lot of times. Dark, moody covers attract me more than cheery, bright covers. Ahh, so common a cause we fall for. I do - and that kinda scares me because although the cover of my upcoming novel is beautiful, it has nothing to do with my book!